CHIRP assisted SideVü and DownVü originate in the GCV 10 black box above, which is obviously networkable. In fact, the GCV 10 probably explains, at least in part, why Garmin put a second Ethernet port on last year’s new GPSmap 741 Series (Panbo discussion here). Garmin’s fully networkable systems — like the 6-, 7- and 8000 Series — are not yet listed as compatible, but it certainly seems possible (and desirable). I haven’t yet found photographs of the 12-pin 455/800 kHz DownVü/SideVü transducer that comes with the GCV 10 or the 8-pin “all-in-one” 77/200 kHz sonar/DownVü transducer that comes with the various new echo dv fishfinders, but I imagine they are half-tube shaped and will come as transom mounts with thru-hull options later (as all the down and side view manufacturers have done). HD-ID sonar/DownVü is also a built-in choice for the new GPSMAP 1040sx and 840sx, though they can also support traditional 1 kW sonar and CHIRP. These are non-touch displays with an 8-softkey and dedicated button interface quite similar looking to the 6000 Series. Both models come loaded with both LakeVü HD maps and BlueChart g2 coastal charts and can handle both BlueChart g2 Vision and the new LakeVü HD Ultra regional cartography packages. Meanwhile, the new GPSMAP 1020 annd 820 lack the built-in fishfinding and charts but offer “Special Sailing Features,” including “laylines, enhanced wind rose, heading and course-over-ground lines, and true wind data fields” (no screenshots yet; please holler if you see some). Garmin also has new GMR 18 and 24 xHD radomes, both of which are 4 kW with purported 48-mile maximum range. Both are also dual speed with automatic control, can work at dual ranges simultaneously and feature dynamic gain and sea filtering, all rendered on screen in “vibrant 8-bit color for greater detail of weather patterns or obstructions.” I think that this is an important update for Garmin as their radomes (not their xHD open array radars) seemed weak in the comparative HD radome testing I did a few years ago. Hopefully, next season I’ll get to see if they meet or even exceed the competition (and whether they’ll network across fully and selectively networkable Garmin MFDs, which seems like a “maybe” at this point). And how about Garmin Meteor 300 black box audio system that’s sort of like Navico’s SonicHub, but based on newer Fusion technology? So, it has Bluetooth streaming and control, and it can be accessorized with a NMEA 2000 remote and/or an Apple-connector-change-safe and Android-friendly dock (note that Lowrance and Simrad have also added SonicHub support for the Uni-Dock). Many GPSMAP models will porportedly be compatible with the Meteor 300 over N2K, and if that interface is like what I’m seeing with Fusion-Link on a Garmin 7212, which is very likely, it will be a fantastic way to run your stereo when you’re at the helm. Almost finally, the relationship between Garmin and their sailing instrument developer, Nexus Marine, has taken an interesting turn. The new gWind sensors, both wired and wireless, at least look exactly like the unique Nexus design I first saw at METS in 2006, which is just fine because it’s earned a good reputation and, even better, Garmin’s version comes with a GND 10 Black Box Bridge that apparently integrates Garmin’s NMEA 2000 data system with the 0183-based Nexus Network. The box, which is available separately, even supports PC applications like NexusRace and Expedition, and is apt to make some sailors with existing Nexus systems very happy (and more likely to be Garmin customers if they aren’t already). Finally, I think, there’s the new free Garmin Helm app, which is not really a surprise. I don’t have screenshots yet, but how nice that it became available on the Apple App Store today. So far, only Garmin’s GPSMAP 8000 series is compatible — and you’ll need a WiFi Adapter Kit (which I still think will be replaced eventually with a better Garmin-built model) — but it seems safe to presume that smartphone and tablet mirrorings and control will come to other Garmin MFDs in due time. I’m sure I’ve missed many details of all these new products, but hopefully, people visiting METS (like Kees), or those otherwise in the know, will fill in. Doh!…already finding details I missed, though partly Garmin’s fault. For instance, the new GPSMap 800 and 1000 Series all specify “Garmin Helm support: yes” so the new app is already slated to support more than the 8000 series. The same MFDs also specify “Wireless connectivity: yes” which may mean they have built-in WiFi (and/or ANT and/or Bluetooth)? The Raymarine CHIRP down scan did not seems to provide any resolution boost compared to Humminbird and Lowrance. I think at this time the resolution from the narrow beam width and high frequency are about all that can be taken advantage of. I would love to be proven wrong though! 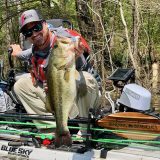 Stiletto, I think the Ray unit is somewhat better than the others, but more importantly you can typically use it at higher speeds, and in deeper water. Getting a transom mount transducer in the right place is critical to its performance. Time will tell with the new Garmin tech, but their history says they wouldn’t have taken it to the market if they didn’t believe it was much better than the existing technology. This is awesome. I have been waiting for a decent non touch replacement for my 3206s. That 820 might just fit the bill. It would also bring my system up to all NMEA2000 except for my AIS transponder. Question re: the new wind sensor. – what’s the mount look like. Easily detached for storage? There’s no detail on the bracket but it seems quite possible that the sensor will be removable since there’s a connector up there. There’s almost no doubt that the data coming down the mast is in Nexus format, and that the N2K conversion happens in the included GND 10. Maybe a dite complex but you end up with the data in both formats, which could be useful. In answer of the first comment , Al new plotters and echo-MAP’S are equipped with WIFI the helm APP works with all of these plotters, view and control according to the new catalog. Sailing features include lay lines showing them as easily as making a way point the Garmin way, the have a new wind rose displays true AND app wind angle. The new Gwind is mounted in a mast bracket therefore easily removable from the mast-top same way as the Nexus wind transducer. the Garmin people who saw the new radar at work could tell me that they where surprised of the echo’s no more/less side-lobes and echo’s of small bouys up close and further away also branches of under water trees sticking above the waterline, last wash told by the people who sell the stuff , now it’s up to Ben to confirm it. It also sounds like the sailing features will get added to some existing MFDs but once the dust settles I think Garmin needs to built a matrix showing what works with what. Paul, I only have half of the wind system, I’m waiting for the GND 10 to show up. The Nexus, and Gwind mounts appear to be identical, and a simple twisting of a plastic locking nut removes the unit from the mast. The GND 10 does output N2K. The USB cord/plug is a PC interface. I believe one of the two center plugs is for a pigtail cable from the NMEA 0183 outputs on the WSI wireless box, but I suspect Ben’s thoughts are correct about the other. There is virtually no difference, if any at all between the Nexus wind instrument and the Garmin version. Also it occurs to me that as much as I love NMEA 2000, it’s a bit of a problem for wind ducers on tall masts. The backbone has to go up there, as well a terminator. Using Nexus for the mast run might be a bonus, then, plus I think the cable is thinner than any N2K equivalent (except maybe SimNet). Correct me if I’m wrong, but the Gwind is actually the NWind + GND10 being both in 1 box. they use the nexus signal up to the GND10 both inner plugs are for the Nexus signal 1 for the wind transducer the other going to Nexus displays. You got it, TCY! In fact, if you’re a Nexus owner with a broken wind whirly, you can just swap out the masthead unit, plug the old cables into the GND 10 box and you’re good to go (with added N2K display options). But I was wrong to say that Nexus uses modified NMEA 0183. I just spoke with a well-informed Garmin/Nexus source and learned that the latter built their own FDX data language that’s purportedly quite able and fast. Actually, the larger purpose of the GND 10 bridge is to support customers who may well be happy to keep Nexus gear that goes back decades. Garmin isn’t really pushing the bridge aspect yet because they have more work to do translating Nexus functions into NMEA 2000 for use on Garmin displays, but that’s the road map. There are other interesting attributes to the GND 10. You can, for instance, put the gWind on a NMEA 2000 network with no other Garmin (or Nexus) gear on it and calibrate it using a laptop and free Nexus Race software. That applies to gWind Race too, which is more expensive largely because it supports sophisticated calibration tables. All the calibration lives in a gWind, so what goes out over N2K is corrected. That same Race software also supports data monitoring and logging and it has a virtual NMEA 0183 port that can pass info to other sailing or charting software running on the PC. Which can include some info like GPS that’s bridged from NMEA 2000 to Nexus FD in the GND 10. Apparently Garmin now has some of it engineers (sailors!) working with the Nexus team in Sweden, and it sounds like they’re up to good things. Ben don’t know for sure if the swapping is going to work you need some kind of adapter cable. The new sensor I saw with Garmin stamp t on it does have a new/different plug. the nexus has 4 pins and the new Garmin (as far as I can remember) has 6. It looked just like the ECU CCU cable plug. TCY, it was the Garmion Nexus expert who told me that the gWind and nWind masthead hardware are interchangeable. Also note that Garmin lists the gWind masthead cable as using Nexus connectors and that a plug with six female holes does not necessarily mean that the male side has six pins. Click on the GND 10 image above and you’ll see what I mean. The Nexus ports appear to use 4 pins but have room for 6. Sorry, TCY, I confused what Garmin told me. The gWind and nWind brackets are the same, but the cable is not. “The gWind transducer has a 6 pin Garmin (looks like device net but doesn’t use all the connectors only 4 pins) plug for attaching to the gWind 6 pin mast cable” but there is a short adapter cable for Nexus owners who want to replace an nWind. “So if you are replacing a Garmin GWS10 you would change the mounting to the now removable gWind bracket. You would then need to run the new gWind mast cable. The good news here is the new mast cable is smaller (4.3 mm) than the n2k cable that would be currently in the mast. At the base of the mast you would then use a field installable connector (010-12117-01) to get to the GND10 Nexus network port. This connector comes in the box when you buy the whole gWind kit. Then the GND 10 would be connected to the Nexus network and NMEA 2000. 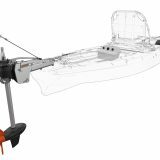 If you have a Nexus system and needed to replace the masthead for some reason and have a good mast cable and bracket here is the thinking. You would attached the new gWind transducer to the existing bracket. Then use a gWind to nWind mast cable adapter (part number 010-12117-02, $25 list price) which will be a Garmin 6 pin plug on one end to go to the gWind and then a female Cannon plug on the other end for connecting to the existing Nexus mast cable. At the base of the mast you could do one of two things. 1.Move the mast cable to the Nexus network (assuming you didn’t already have a nWind before which would have already been connected to the Nexus network). Then connect the GND10 to the Nexus network which will then send data to NMEA2000. The GXM52 doesn’t seem to do anything the GXM 51 can’t except maybe “Additional features and upgrades will be made available as Sirius XM capabilities are added.” Anyone know what that means? My husband and I both work for a competitive.. and “well known” marine electronics manufacturer. Suffice to say that this new line that Garmin is bringing out is attracting great interest from many of our colleagues. It’s gong to be a very interesting Miami Boat Show. This winter, 2014, I’m installing an 18” monitor at the Nav station which puts a squeeze on space. A black box, Bluetooth AM/FM would be the answer for me. Here are some thoughts as I considered a new AM/FM radio. Since most sailboats have very little space for electronics I think the Meteor 300 may have wide appeal. I’ve been using a non-Marine Sony car radio for many seasons that has terrific fidelity for a one zone, two speaker system. The standard DIN size chassis requires a lot of room to the rear and restricts where it can be installed. In my opinion, any new radio considered as a replacement must have built in Bluetooth as well as a standard 3.5mm plug. I looked closely at the Fusion radio’s and read the rave reviews, but honestly, I disagree with the Fusion design. How could the Fusion engineers make a radio without built in Bluetooth, (an add-on Bluetooth device is a band-aid to an oversight). With Apple changing the plug every year the Fusion tray is obsolete in short order. Trying to accommodate one brand of cellphone or iPod is a mistake. So, the new Meteor 300 seems to fill these objections. The Garmin Meteor 300 has Bluetooth built in, the black box configuration allows many possible installation options away from the crowded nav station. The auxiliary remote, sold as an option, can be moved from place to place and my 7212 can control the Meteor 300 via N2K. What a terrific combination of features. Now, does it have the sound fidelity the average person can appreciate? Richard, I agree that the Meteor 300 looks good but please understand that it’s built by Fusion and probably more like existing Fusion gear than you may realize. For instance, there’s nothing I can see on the Garmin site that says that Bluetooth is actually built into the 300 box. In fact, “Bluetooth wireless technology for music streaming and control” could mean a Fusion BT200 hung off a plug on the 300 box. But you might be glad it is because then you’ll have a chance to position the BT antenna a few feet away from the radio and the other stuff it will probably be mounted near. According to Fusion the main reason they were ‘slow’ to adopt Bluetooth is that they think it’s hard to get good fidelity and reliability on a boat with. Quite a different EMI and device distance scene than a car. At any rate, if the Meteor does have its Bluetooth all inside the black box, I’d say Fusion now thinks it works OK that way and will probably do the same in future radios under their own brand. The Meteor dock looks to be the new Fusion Uni-Dock which can handle most any cable changes. Fusion did get caught flat footed when Apple suddenly went from the 30 pin to Lightning connector but it only happened once and I really doubt they or any accessory manufacturer is going to make that mistake again. I tried the Fusion BT200 briefly and it seemed to work well but at that point I had to choose between it and the Garmin 7212 FusionLink interface, which is fantastic. 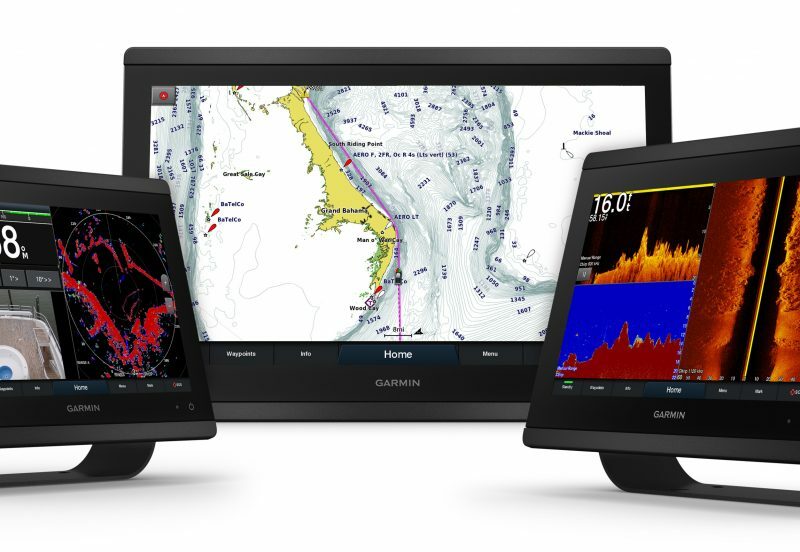 A recent Garmin update made it possible to have both with Fusion 700 systems and I intend to try that in the shop, as well as FusionLink with Furuno, Raymarine & Simrad. The Meteor N2K remote seems to be exactly the same as the Fusion NX200 or 200i and Meteor must have stuck with Fusion’s proprietary N2K connector because the remote and 300 each come with an adapter cable. PS. Richard, If I were in your shoes I might also be looking at the Fusion RA-205. It’s very compact, has N2K, FusionLink, and can work with either of Fusion’s BlueTooth devices. I think it might end up less expensive, you’d have a stereo even with N2K turned off and phone dead and — a big thing for me — you’d always have a big volume knob and mute button. You could be forgiven for saying that Garmins DownVu and SideVu seems suspiciously similar to Navico’s Downscan and Sidescan technology. Garmin ‘acquired’ almost all of the senior sonar engineering team from Navico’s Tulsa R&D center by setting up an R&D center of their own very close to Tulsa in early 2013 and then head-hunting Navico staff by offering them well-above industry standard salaries with added incentive of not requiring them to relocate away from Tulsa. Navico did not win this case which only serves to say that Garmin did not act illegally. What this does say about Garmin is: when you can’t win – play dirty. It amounts to marginally legal IP theft. and to the sellout engineers involved. Most of whom had been employees at Lowrance/Navico for over 10years. Ben, your readers have a right to know about this. I understand what you are saying here but can you blame the engineers for taking the better offer? After all, I’m sure they have families to feed, with mortgage and music lesson to pay for, college, etc… The engineers loyalty is at home not Navico. To be overly fair they should have given Navico an opportunity to match the Garmin offer, but had no obligation to do so. Protecting the intellectual property is the job of lawyers – maybe they are the ones at fault. My successful friends in business tell me they carry two documents with them at all times. One is an unsigned letter of resignation and the other is an up to date resumé. They review opportunities for advancement every six months in order to maximize their career. After watching them for a few decades they are now wildly successful. I took some time to again look over the Garmin Meteor 300 and Fusion radios. The Meteor 300 web site is still half baked with little information posted. The concept is terrific, but how does one make a buying decision without looking over a manual (none available yet). I did see in the FAQ’s that the file format the Meteor can use are limited to only three and AAC is not one of them. All my iTunes music files are AAC. I suppose its not a big deal as they can be converted to MP4 – I think. The Fusion RA-205 is a fine possibility for my application. However, I’m going to hold off until spring and see if Fusion comes out with their version of the Meteor 300 along with some polish on the specifications. If not, I’ll go with the RA-205. Please Fusion….. fix the chaotic drop cable mess. We all know about NMEA 2000 and can screw a cable into the network – we don’t want to mix and match adapters….. Never, never build to Apple or anyone else’s plug. Apple just changed the charging dock on their 13” Retina Macbook Pro to a connector that matches no other Apple product. Apple will burn you again with the iPod, iPhone connectors….. Learn how to build in Bluetooth. Everything I own has Bluetooth built in – my boat computer, laptop, iPad, iPhone, mouse, keyboard and my crew all have devices with Bluetooth built in. We have been using Bluetooth aboard the boat for a long time now without a single conflict or drop out….And, personally, a black box AM/FM like the Meteor 300 opens the door to many installation possibilities and I believe may have wide appeal. Richard, I too wish that Garmin was quicker at posting manuals and also more complete with their specs. For instance, I’m not sure that the Meteor won’t play AAC files off an Apple device just because it can’t play them off a USB stick. If Garmin demonstrates a Meteor 300 at the Miami Show in February, I’ll try to be there, and maybe they’ll send one for testing. I must say I don’t get your attitude toward built-in BlueTooth. Once you’ve plugged a BT100 or 200 into a Fusion system, how will you or anyone else on the boat know that it’s not built in? More important, I think, is how well the software works and I know Fusion has been working hard to get the maximum utility possible from Android and Apple BT audio. Also, I doubt that Fusion will change its NMEA 2000 connector strategy yet again. They seem intent on the idea of providing a lower cost and self-powered cabling system for remotes on boats that don’t have a standard N2K network. It is messy for those with regular N2K but again once you have the right adapter cables how will you know the difference? Added built-in DownVü support; optional transducer required. Added Garmin GCV 10 sonar black box (DownVü/SideVü) support. Added sonar features including history scrolling, support for common trolling motor transducers and pre-defined combinations. Added ability to resize Combinations. Added support for Garmin Meteor 300 media black box. Added full support for Bluetooth® and MTP sources when connected to a compatible Fusion device. Added support for Garmin GMR 18 and GMR 24 xHD Radomes. Added support for Garmin GXM 52 SiriusXM® Marine receiver. Added basic Garmin Marine Network support: share supplemental maps, radar and Garmin GCV 10 sonar black box; sync basic, alarm and chart settings. Added sailing features: improved data fields, improved wind rose, simultaneous display of heading and course lines on chart and laylines. Added Dynamic Sea Surface Temperature feature; optional weather antenna required. Added high color waypoint symbols. Added Lake Facts support for LakeVü HD content. Added Daylight Saving Time control for custom time zone. Added NMEA 2000® and 0183 diagnostic pages. sharing Maps radar etc. whit a marine network ?? the standalone GPSMAP 721 is now a MFD. indeed wow. Mounted my first GMR18XHD today looks great. it has 8 mounting holes so there is a possibility to mount the radome further or closer to a mast and what is nice cabling is the same as the GMR18HD, Garmin placed a status led underneath the dome ,so visually can be checked what the radar is doing (or not). it came with new software after loading it the radar appeared in the start screen of an GPSMAP 8008. can’t tell how good or bad the image is because the boat is inside. TCY, great to hear the connectors are the same. I am upgrading my GMR18HD to the XHD this spring. Do any of the 8 mounting holes line up with the 18HD pattern? Tim, yes the mounting holes do line up I used the same Scanstrut mast mount as the GMR18HD. Just noticed that the manuals for the 820 are on the Garmin site now. I’m just after installation GMR18xHD and unfortunately connector power is not compatible with GMR18HD. I’m just after installation GMR18xHD and unfortunately connect power is not suitable to GMR18HD. Hi Christopher, you can cut of the mounting ring of the old cable and clip on the new. Newer 18hd, s have threaded nut older the bajonet, the threaded nut can be ordered as an accessoirie. 1) Does the down scan imaging work well at depths of 40-120 feet? 2) Is there any reason to get side scanning capability given the depths at which I fish? 3) Is one brand significantly better than the others or are they all pretty much the same? Vince, I think the value of down scanning declines after 40 feet, and side scanning even more, but they’ll still be working, possibly all the way to 120 feet. I have sometimes seen rocky Maine outcrops over 100 feet deep with just the original StructureScan black box and transducer. In many cases the side scanning almost comes free with the down scanning and is certainly worth it, I think. But which one is best is a tough question. 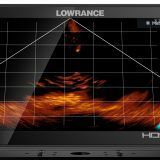 Lowrance seems to have earned the lead among fishermen like you but Garmin is now focusing their considerable resources on the same market, and you really ought to check out Humminbird too. The new Onix 8 seems aimed right at your needs: http://goo.gl/hKXwHB Plus I think Raymarine’s CHIRP DownVision might work well for you, though Ray doesn’t yet have side scanning. Also, look for an announcement from Lowrance tomorrow that might be relevant to you. I’ll have it here. Vince, I agree with Ben’s assessment, and would add that both down and side scan work best at very slow speeds. I would suggest that down/side scan systems when used in conjunction with standard/CHIRP sonar system will provide the best opportunity to locate fish. I’m installing my first Garmin down/side scan system tomorrow and will post my sense about its capabilities. I was aware of this issue because during the planning stages of my electronics upgrade, I spoke with the Garmin representatives at the Annapolis Sailboat Show last fall. They warned me of this issue and I remembered it when I started up the system this Spring – but then I couldn’t find the specific information about how to do it. I wanted to post this information somewhere in case others are running into the same problem. I now have the system up and running and the GND-10 seems to be working as advertised. On the NMEA-2000 side, the Vesper XB-8000 is providing GPS position data, which can be displayed on the Nexus instrument displays. I don’t (yet) have any native NMEA-2000 displays but I can connect my computers (laptop or tablet) to the WiFi of the XB-8000 and view data from the Nexus Transducers using the PC applications such as OpenCPN. OpenCPN also displays the position and AIS information from the XB-8000 all overlayed on NOAA cartography (which can get a bit busy but is configurable). Follow-up to my comment of May 22, 2015 regarding configuring the GND-10 with a Nexus FDX system. I recently sent the GND-10 back to Garmin for a software update to fix another issue. The unit came with version 2.0 software – they updated it to version 2.2. When I re-installed the unit, I found that it no longer required the manual configuration of the transducer sources that I described in my earlier message. It appears the new software version makes the installation more transparent and may eliminate the need for the extra configuration step. I mentioned this to the Garmin representative in an e-mail but never received confirmation that this was a known fix (but it sure seems to work for my configuration). I am in the process of installing the GND-10 into my Nexus system along with a new gWind transducer. What is unclear to me is how you connected the GND-10 to the Nexus NX2 server. Which port on the the Nexus server this you connect the GND-10 to. This info is as far as I have been able to see, not provided in the documentation. The 4 terminals marked “Network” on the NX2 Server will be connected using the cable supplied with the GND-10 to one of the two small, 4 pin connectors on the GND-10. You should just be able to follow the color code on the cable and the colors as marked on the NX2 Server. I had the boatyard install a Garmin/Airmar DST-800 (Depth, Speed, Temperature) through hull and transducer over the winter. I extended my NMEA 2000 network and connected the new transducer. I also removed the depth and speed from the Nexus NX2 server at the same time. When I turned it all on, the depth and speed from the new NMEA 2000 tranducer were displayed on the NMEA 2000 Garmin GMI 20 instrument but not on any of the Nexus displays. It turned out I still had to manually configure the source in the GND-10 using Nexus Race software. It does not appear to detect it automagically. I double checked with a brand new, out-of-the-box GND-10 and confirmed it. The Garmin Wireless Wind (old style, using the WSI box) should be going on the top of the mast this week (if the old bracket it truly compatible with the new Garmin wireless wind transducer, that is). With that in place, only the fluxgate compass will continue to provide input through the Nexus NX2 server. I will continue to report on the adventure. Good news. The new Garmin Wireless Wind transducer does fit on the ancient (20 year old) Nexus Wind Transducer’s mounting bracket. With the WSI (wireless receiver box) plugged into the GND-10, I immediately started receiving wind data on the new (NMEA2000) Garmin GMI 20 instrument as well as my old (“legacy”) Nexus displays.